The drone operator who said 'No' Jump to media player Since 2001, the US has used unmanned drones to bomb targets in Afghanistan and elsewhere - one operator explains his doubts about the programme and why he felt he had to leave. Is this the best April Fool's ever? Jump to media player How the BBC's Panorama programme spoofed the nation on 1 April 1957. The day a nation buried Winston Churchill Jump to media player Emma Soames, granddaughter of Winston Churchill, recalls his state funeral in 1965. 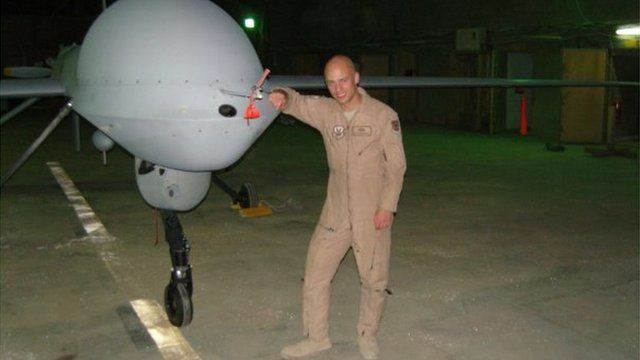 For almost five years, Brandon Bryant worked in America's secret drone programme bombing targets in Afghanistan and elsewhere. Brandon Bryant told Witness about his doubts and the mission that convinced him it was time to stop.